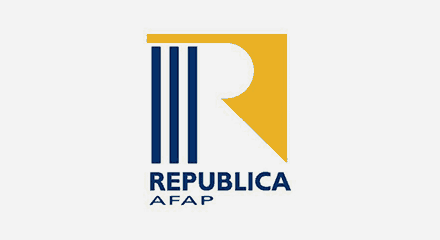 República AFAP is the largest private pension fund in Uruguay. In 2014, they received the Premio Iberoamericano a la Calidad—Oro (Golden Quality Award), becoming the leader in quality for medium-sized pension managers in Ibero-America. Their commitment to strengthening customer relationships, meeting stakeholder requirements through efficient fund management, high-yield safety investments, lowered managed costs and, above all, dedication and professionalism to their customers, won them this honor. Many pension fund managers believe that they can only provide retirement services for customers who remain at their companies for more than 30 years. República AFAP saw things differently. They wanted to deliver more services than are typically offered by fund managers (such as account statements). The company believed it was important to support customers throughout all stages of life, engaging with them and strengthening the relationships—providing a personal touch. República AFAP knew there was more to running a pension fund than efficient money management. They sought a solution that would allow agents with the appropriate skills to handle specific customer problems in a professional manner. Building strong one-on-one relationships was a top priority. República AFAP sought to provide incredibly personalized customer experiences—ones that even included visits to customer workplaces.